I will admit to having many many addictions. Sadly, for most of them, there are absolutely no cures for my sort of addictions. Take toilets, for example. It's a passion of mine to find the toilets with the lowest flush flow rates on the market. I can't help it. Blame LEED. Or my addiction to lighting.... crap, there will never be a cure for my lighting addiction. Go figure. Another? There is probably only one other of my friends that understands, Lisa Smith over at The Decor Girl. I believe she may also be an addict as well. Hood Ornaments. 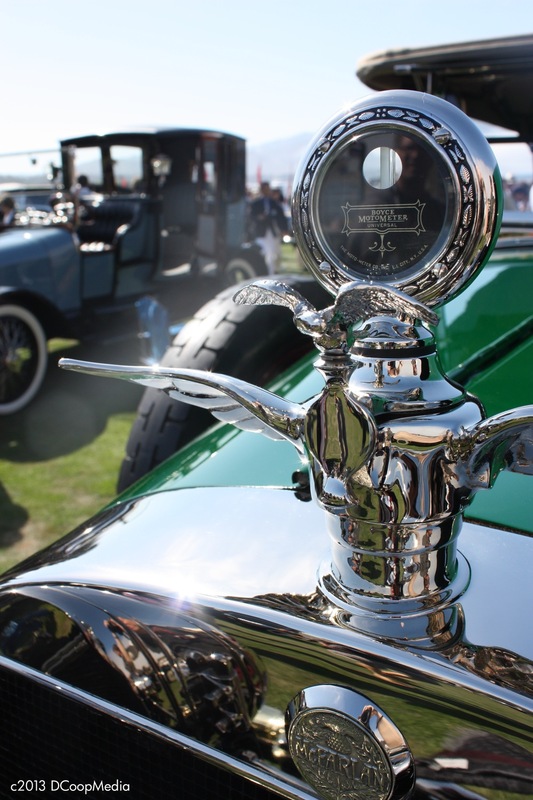 The classic, sculpted hood ornaments of the 20's, 30's and 40's. Mini works of art. Beautiful spectacles perched atop the hoods and radiators of some of the most respected vehicles ever imagined. Once upon a time having not only a hood ornament but a specially commissioned sculpture meant you were SOMEBODY. You were special. So few vehicle manufacturers use them anymore - the now extinct Maybach, Mercedes, Bentley, and one of my personal favorites, Rolls Royce. And even they are reverting to smaller, flush mount emblems identifying their vehicles in a more discreet manner. 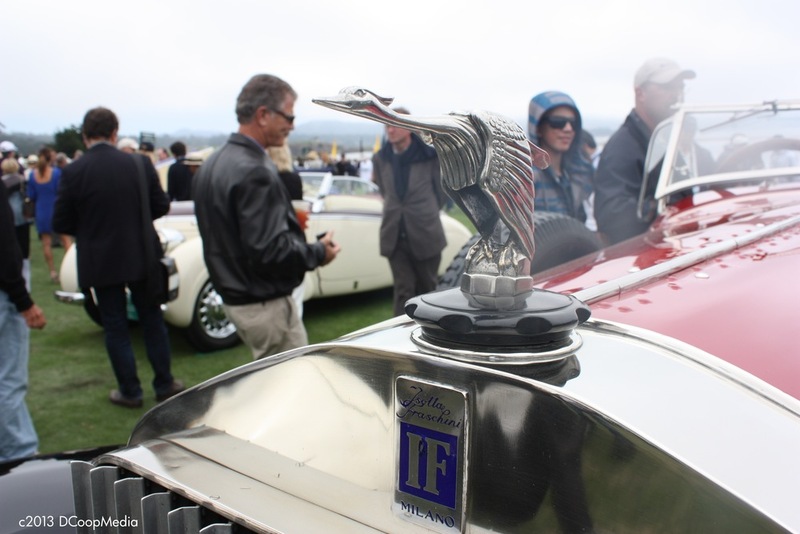 And then there was the Pebble Beach Concours d'Elegance. It was like dropping a crack dealer in front of a Narcotics Anonymous meeting. Must I say anything more? Forget the Flying B, this Bentley has one big C**k.
Usually the Spirit of Triumphe, this Isotta carries a distinctive crane instead. The Spirit of Ecstasy. Enough Said. Even the most utilitarian of ornaments were embellished in some way. The very special Adonis hood ornament adorned very few Packards.